With a track record of over 140 years, the Burpee Seed Company is one of the world’s largest and most respected home garden seed and plant sellers. Burpee Seeds was founded in the 1870’s by W. Atlee Burpee. He is known as one of the original pioneers of the United States mail order industry. They have been in business over 140 years, and are recognized as one of the world’s largest and most respected home garden seed and plant companies. Burpee began his business selling chickens and turkeys. Eventually he saw a need for serving the immigrant farmer, who was having difficulty growing the same vegetables from his old European home. As a result of this need, Burpee shifted the focus of his company to selling vegetable seeds through the mail, and became immensely successful in doing so. In addition, by purchasing seed stock from Europe and selling it to these farmers, the business eventually expanded to ordinary gardeners. Over the years the Burpee Company has remained true to this vision. In addition, they have introduced many different varieties of vegetables to the market. At its core Burpee specializes in vegetable and plant seeds. They offer an incredible selection to choose from. But they provide much more than just seeds. Consequently, Burpee stocks a large inventory of container plants for annual flowers and perennials. In addition, they sell all types of garden accessories, including composting products, containers, fertilizers, tools and much more. Seeds that you order online will arrive to your door in packets. Seeds are packed by weight, so the actual number of seeds in a pack will vary. Container plants are packed securely in sealed plastic containers. They are designed to protect your plants and preserve the soil. 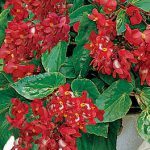 Begonia Dragon Wing: Heavy blooming, low maintenance. 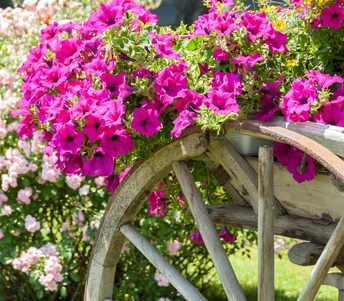 Great for hanging baskets and containers. One of the best and most popular annuals. 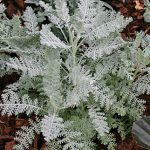 Dusty Miller: A beautiful choice to pair with other plants in your landscape. This reliable gem provides a sharp contrast with deep colors, and makes all your plants look better.